The ultimate in reusable products – a coffee mug. 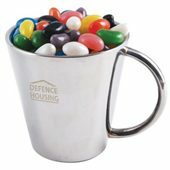 Our Promotional Jelly Beans Stainless Steel Mug is well designed and great to look at. Send a warm greeting to your suppliers and clients this coming holiday season with the promotional Jelly Beans Stainless Steel Mug and the gesture will go a long way. Or gift them to attendees on any promotional event and forge new relationships with new networks and expand your business. 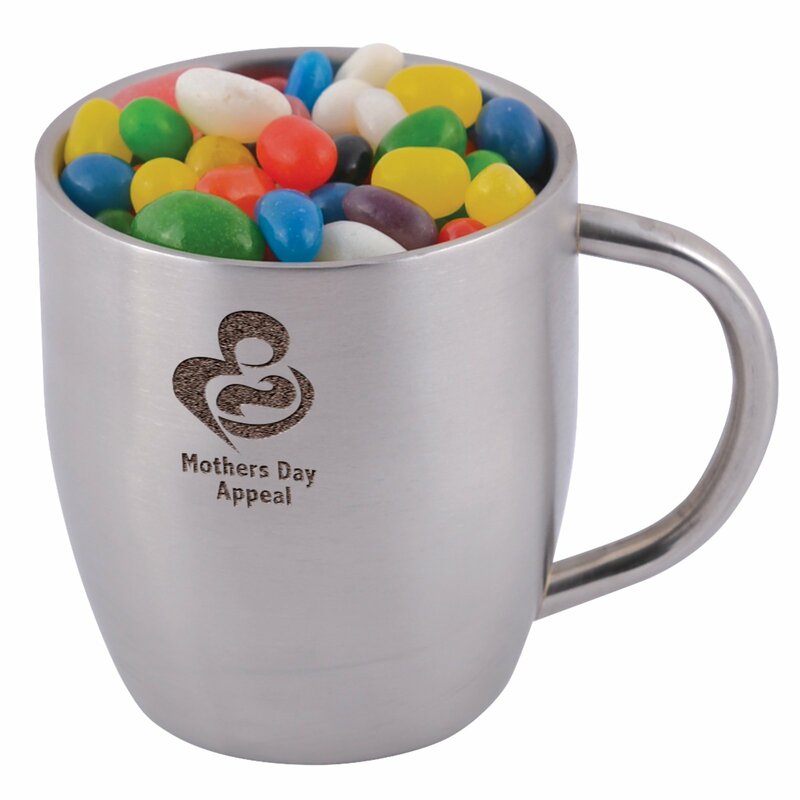 The custom Jelly Beans Stainless Steel Mug is a pretty neat idea for a promotional item. For one, it contains everybody’s favourite confectioneries: Jelly Beans. And another, it can be customizable with your corporate colours or any custom design. The stainless steel mug itself is 80mm in diameter and 88mm in height. That’s just about the right size of your typical coffee cup. Put it on your table during coffee breaks and let people be astounded to see colourful beans instead. The mug holds 280 grams of delicious jelly beans that’s just enough to share with a group or any passers by who happen to fancy this clever packaging. Flavours include: Orange, Raspberry, Lychee, Strawberry, Apple, Lemon, Aniseed, Grape, and Blueberry. And to advertise your brand, we can laser engrave your custom design on a 30mm (l) x 30mm (h) square space on the side of the cup. You’ll really appreciate the finished product as it looks really cool. And when all the jelly beans have been consumed, the mug can still be used all over again, giving your brand an advertising burst that practically lasts forever. 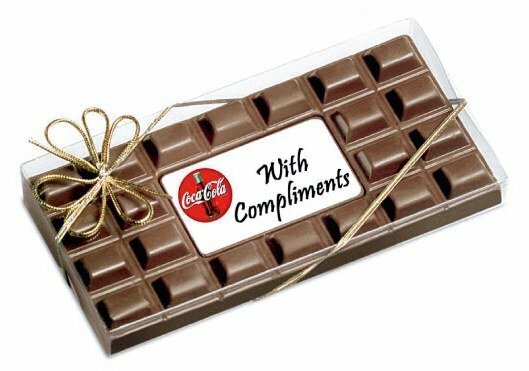 Another great way to introduce your company during events are the Choc Beans Biz Card Treats and the Medium Belgian Chocolate Bar. We have a whole bunch of clever products you can use on your next marketing campaign that are guaranteed to be of great value for your money. Call us at 1300 008 300 or hop on that live chat window if you want to speak with one of our customer service staff.